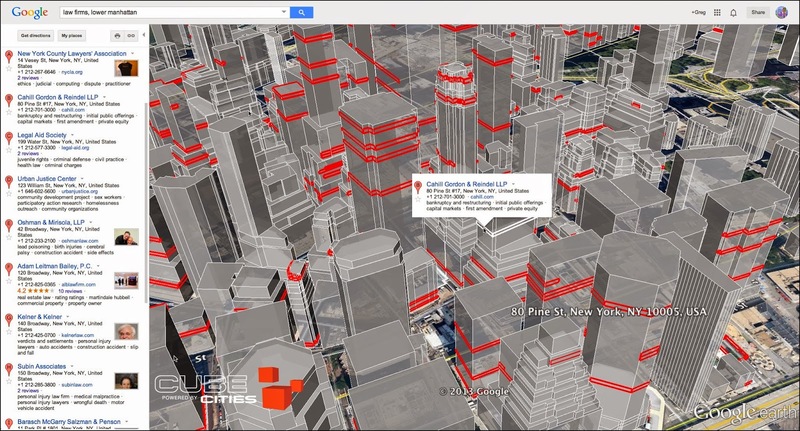 Cube Cities can ask Google where all the law firms in Lower Manhattan are located and return a 3D visual search result. What's seen is an example of every law firm and the floors they occupy. 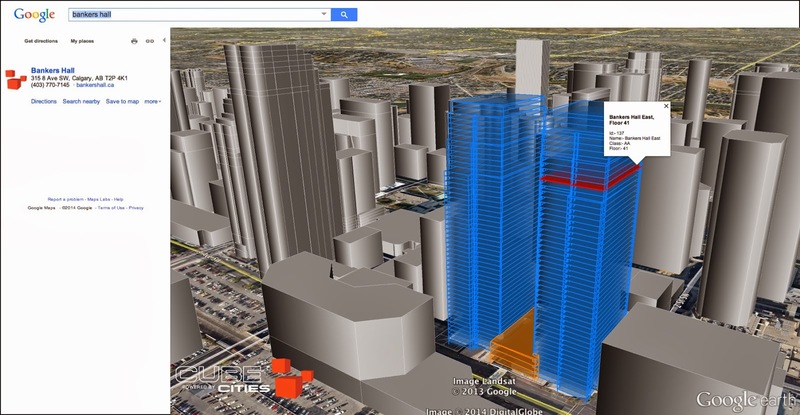 Cube Cities can look up a building name or address on Google and display a 3D visualization of every floor in the subject building. Here is an example of the Bankers Hall office complex in Calgary, Canada. Anyone can request access to our Google Search visualizations by signing up on this website or emailing us here.